High-order body representations, such as body schema, encode metric properties of the body as well as its movement dynamics and play a crucial role in sensorimotor control. Across the lifespan, our body underlies gradual changes in size and weight which demand the continuous updating of any embodied self-representations. Predictive mechanisms, important for adapting balance control to internal and external constraints, are grounded on experience-dependent presumptions and as experience alters our internal body representations, any predictions based on these representations will be altered as well. In daily life, when the stability of body balance is compromised, a dependency on interpersonal balance support may emerge. During physical contact with another individual, we experience a clear distinction between self and other, perhaps based on representations of our own and the other’s body dynamics. It seems, therefore, reasonable to assume that in the process of keeping light touch with another individual, we create representations of the partner’s body dynamics in addition to our own. We believe that tactile interactions between two individuals for postural stabilization will provide strong evidence for the existence of mutual body representations, based on predictive coding mechanisms, that lead to spontaneous interpersonal postural coordination phenomena, such as interpersonal sway entrainment. 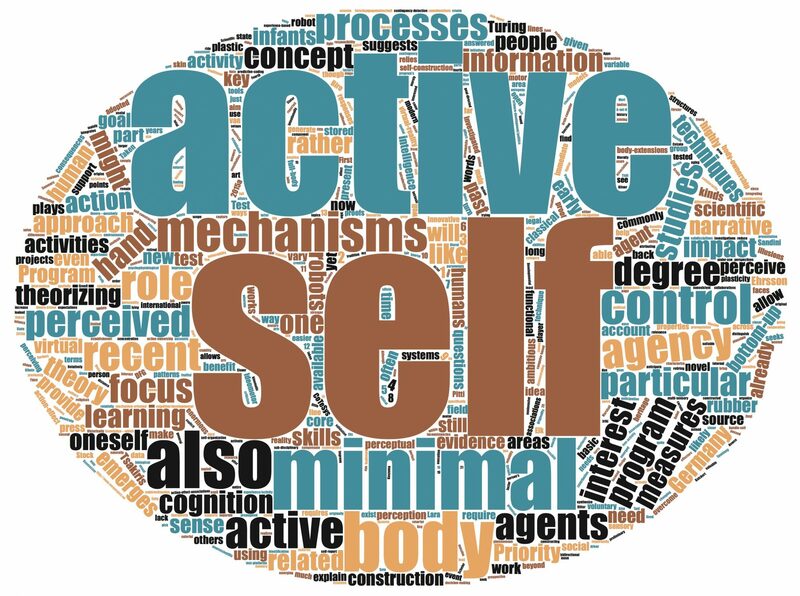 In this proposed 36-month, interdisciplinary research programme, we will, therefore, observe in healthy individuals the lifespan development of any embodied selfrepresentations for balance control. We will record and analyse the body kinematics and forces acting in single participants as well as in pairs of participants to characterise the control of body sway during quiet upright standing with light interpersonal touch. Research approaches in the domains of human psychology and movement science will merge with robotic engineering to develop a computational model of probabilistic self-motion representation that predicts the own sway dynamics and balance state as well as those of a contacting partner. We will use the model to simulate natural selfother distinctions during light interpersonal touch. We will test the computational model’s validity against human nature by implementing an adaptive robotic setup for the provision of light haptic support to human individuals. An accurate robotic model will result in the emergence postural coordination between human and robot that resemble the features of “weakly” coupled, spontaneous humanhuman interpersonal postural interactions. Finally, we will extend the robotic system into a haptic, postural “Turing test” for challenging human individuals’ ability to use haptic feedback for the phenomenological distinction between a real human or a simulated partner during haptic interactions for balance support.